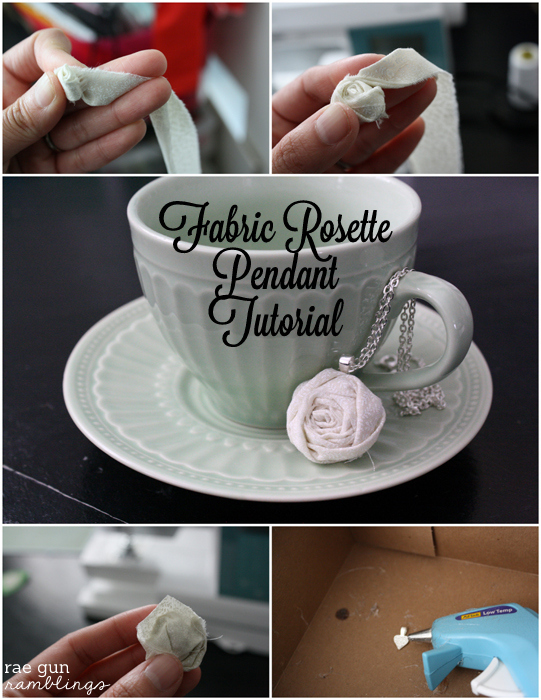 Today I’m sharing my quick and easy Fabric Rosette Pendant Tutorial. This is a great project for using up scraps. I have made simple rosette headbands and hair clips before but it wasn’t until I saw some darling rosette necklaces at a boutique that I thought to put them on a pendant. To make a rosette pendant you just need one strip of fabric about 2 inches wide by 10-15 inches long depending on how big of a pendant you want and how think your fabric is. You’ll also need a glue gun and and pendant bail. Next start folding or twisting the fabric as you wrap it around on itself stopping to glue every once in a while so that it stays secure. You will get a different look depending on if you fold or twist. I think both are pretty it is all a matter of preference and you might find that you like different techniques for different fabrics. Once your rosette is to your liking cut your fabric so that there is just enough left when opened up to cover the back of the rosette. Glue that down. Trim any excess that might show from the front. 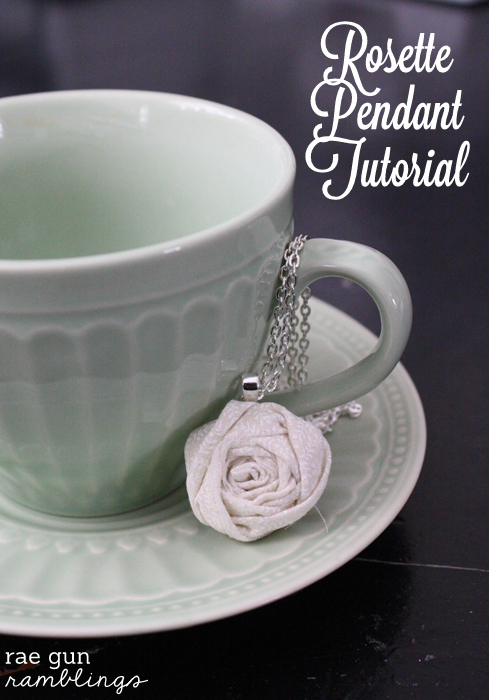 Add some glue to your pendant bail then string it on a chain and you are good to go. 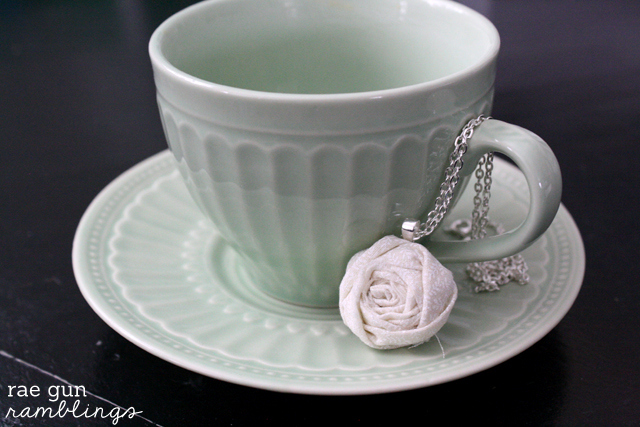 This was originally shared at Sew Caroline as a part of her awesome 12 Days of Handmade Gifts series.